Despite doing everything we can as good drivers, the reality is that not all drivers share the same level of safety as they should. Although drivers must pass a driving test in Texas, there is a big difference between memorizing the test material and learning the test material. Not all who pass the driving test actually put into practice what they learned, as was the case of the driver who hit our client, Daniel. Daniel was driving his vehicle with a passenger on his side. Another driver behind Daniel slammed into Daniel’s vehicle due to his failure to control speed. The force of the impact was so strong that Daniel had to be rushed to the hospital in an ambulance to receive immediate medical treatment. After receiving a CT scan, x-rays, and other medical imaging, doctors diagnosed Daniel with a radial treat of the posterior horn of the lateral meniscus, chronic patellar tendinosis, and sprain of the neck and lower back, among other injuries. Daniel underwent surgery for his knee and had multiple physical therapy sessions for his pain. However, the shockwave of the accident did not stop there. Daniel operated a forklift at his job before the accident. After receiving surgery, Daniel experienced pain like he had never before experienced on his knee. Upon returning to his doctor, Daniel was recommended to receive a job accommodation or change due to the jarring pain he experienced of operating the forklift. Between time missed from work because of the accident, Daniel has missed important work hours. Daniel saw the picture: mounting medical bills and missed hours from work. That’s when Daniel decided to give our firm a call. Daniel came to our law firm and we explained to him step by step what our firm could do for him. We took great care of Daniel and his case, and fought the at-fault driver’s insurance company, even though they were reluctant to give Daniel the compensation he rightfully deserved. We took Daniel’s expenses, which included over $20,000 worth of medical bills, and made the insurance company pay. The attorneys at the Anderson Law Firm were able to win Daniel’s case $125,000. This was enough to cover for Daniel’s lost wages and medical bills, and Daniel was able to go home with extra money in his pocket. 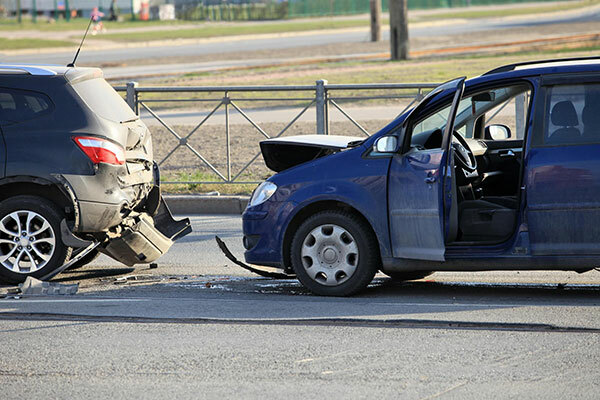 If you have been injured, contact our firm today so you too can receive full justice.